Mike Buffington created this awesome paper RCA Theremin and matching RCA Model 106 speaker as a gift for his friend, Andy Baron. 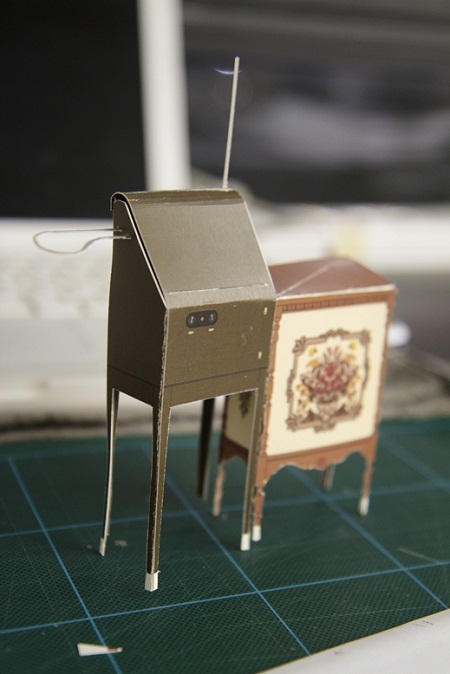 I love to see theremin-inspired art like this, and the fact that it was a gift for a paper engineer makes it all the more special. Excellent job Mike! See many more pictures at his site. Thanks to Richard R for the link!